Since Silverlight is such a good technology to build very beautiful applications but since not all users have Silverlight installed, and to avoid any reason for a user to run away from the site I have to make some Silverlight to HTML conversions. 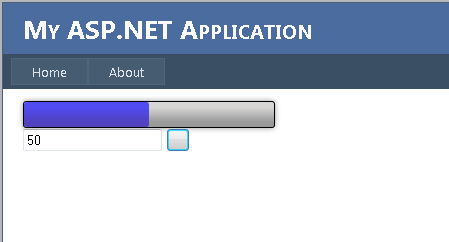 So one of those is a simple Progress Bar that I need in HTML. While searching the internet I’ve found some interesting example but a bit complicated for what I have in mind and I thought this should not be so complicated after-all. I need tow containers , one is the progress bar container and another one is the fill, one script that will take the id’s of those containers, get the current value for which we need to set the progress. in one script we instantiate the ProgressBar object and pass in the id of the tow main elements and the limits in witch the progress bar will operate and start the animation to the calculated value. 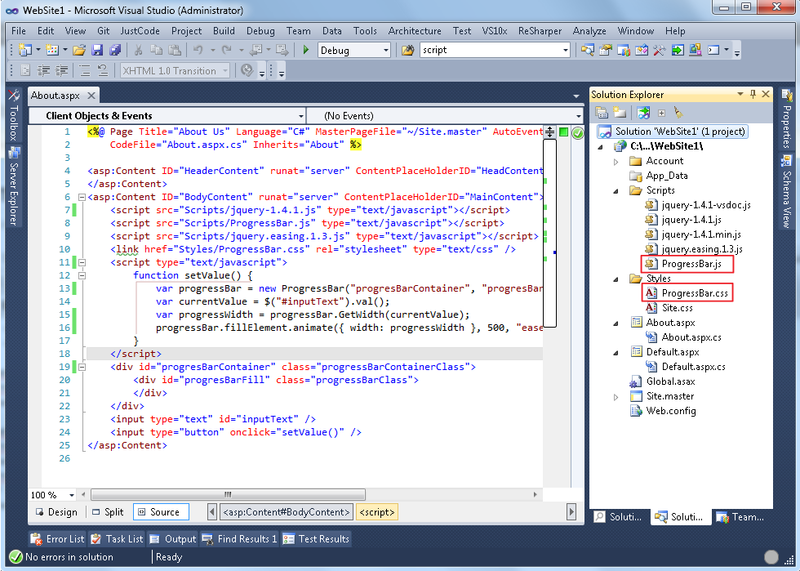 and the script that contains the ProgressBar object and makes the calculation. Here is one way that you can structure this in you’re project. This entry was posted on March 26, 2011, 4:50 pm and is filed under Computers and Internet. You can follow any responses to this entry through RSS 2.0. You can leave a response, or trackback from your own site. Hi I watched your tutorial on youtube, the progress bar really worked but I have another question. Hi, great post but I dont understand how I link this to a video that is loading. In the response that i’ve give earlier is treated the same problem ( http://www.matlus.com/html5-file-upload-with-progress/ -Example ) a video is a file after all and the download progress can be visualized using Html 5 File Api. But don’t confuse this wit streaming witch is a different story. This didnt work for me i even copied/pasted it !!!!!!!!!!!!!!!!!!!!!!!!!! Well it might be that this is obsolete… I will,consider deleting this post … This was made some time ago … I did not check again to see if is working ok now but provided as much info as possible to be as simple as possible. Thanks for your input, sorry that you have to waste time on this. Hi John .. i know my answer is very late but the advice is a actual as possible . When you see things on any blog , make sure you look at the date that they have been posted, some things may have expired by now and thech is changing all the time. Thanks!